If you work in education, you’ll know there’s a HUGE array of applications, services, products and tools created to serve a multitude of functions in education. Tools for teaching and learning, parent-teacher communication apps, lesson planning software, home-tutoring websites, revision blogs, SEN education information, professional development qualifications and more. There are so many companies creating new products for education, though, that it can be difficult to keep up - especially with the massive volumes of planning and marking teachers have to do, never mind finding the time to actually teach! So how do you know which ones are the best? Well, as a team of people passionate about education and learning, we decided to do a bit of research to help you out. We’ve asked some of the best and brightest in education for their opinions on the hottest EdTech of 2018. These guys are the real deal - experts in education, teaching and new tech from all over the world from England to India, to New York and San Francisco. If it's just mobile applications you're looking for, check out our 60 best educational apps. 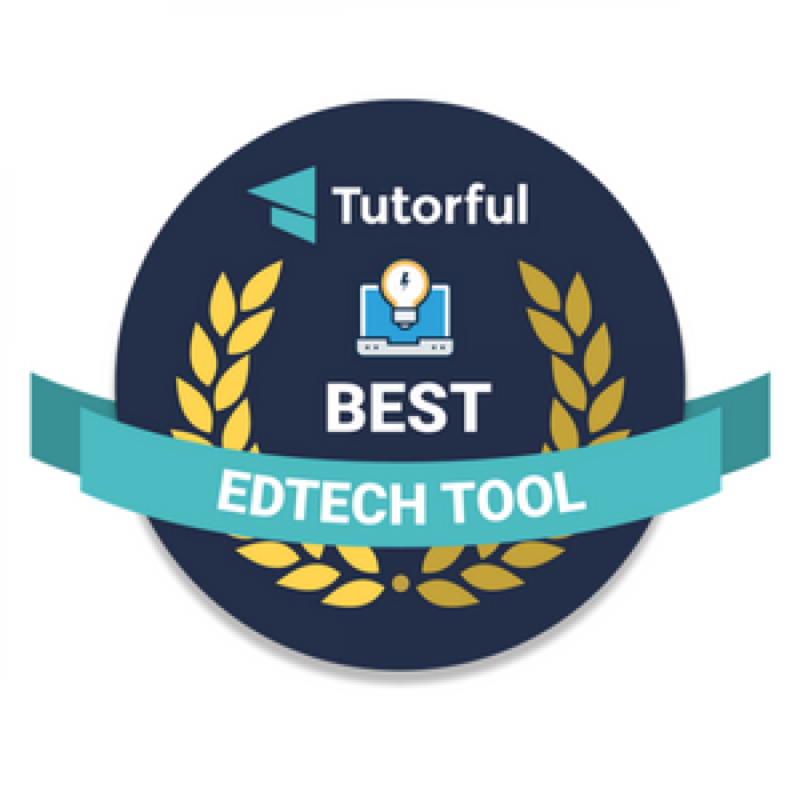 They’ve given us a list of 90 amazing, tried and tested tools that they absolutely could not live without as education professionals. Their recommendations include a host of free, paid and free-trial options. Ready to take a look? As nominated by Beth Holland, Katrina Keene of the Teach In Tech Gal blog, Debbie Sachs from Cult of Pedagogy, Michael Cohen of The Tech Rabbi, and Courtney Kofeldt. As a teacher it can be difficult to create engaging lessons that fully capture the attention of all of your students. Harder still is creating lessons that encourage learning through interactivity and action. Nearpod is an amazing tool that solves these problems. First, Nearpod provide a host of pre-made, fully-interactive lessons developed by subject matter experts for all school levels and subjects. Furthermore, Nearpod allows teachers to import lessons from any file type and begin adding interactive elements, web-links or video snippets to them. Educators can then synchronise their prepared lessons to all students devices, casting the lesson simultaneously to each student and able to monitor their progress throughout the lesson. What really set’s Nearpod out from the crowd is their innovative ideas for further enhancing interactive lessons. Nearpod users have access to Nearpod 3D, providing fully rotatable 3D images to use for teaching, and Nearpod VR, allowing integration with Smartphone VR headsets like Google Cardboard to create virtual field trips for students. No wonder they were voted into the top spot! Yogiamo is a UK based company set to launch in 2019. The hype surrounding their plans is well worth a mention in this list. Yoga has the power to transform children's mindsets throughout their education - and Yogiamo's mission is to support that. Join their mailing list for updates and how Yogiamo plans to support schools with the power of yoga through tech along with the free Yogiamo Magazine - where you'll receive a featured yoga position, along with its history and the impact regular practice can have on the mind. 2. Kahoot! - Making Learning Awesome! As nominated by Michael Cohen of The Tech Rabbi, Bethany Petty of Teaching With Technology, and Neil Jarrett of EdTech for Beginners. Kahoot! is a game-based learning platform and one of the world’s fastest-growing learning brands with more than 40 million monthly active users in 180 countries. Kahoot! makes it easy to create, discover, play and share fun learning games in minutes—for any subject, in any language, on any device, for all ages. Launched in 2013, with the mission to make learning awesome, Kahoot!’s free game-based platform engages the heart, hand and mind, creating a wildly more social, meaningful and powerful pedagogical experience. Kahoot!’s platform and easy-to-use features not only attract educators and students but reach beyond the classroom to corporate powerhouses, sporting and cultural events, and any social and learning context. Kahoot! allows teachers to quickly create fun learning games for students based around multiple choice questions. After creating the game, students can use any device to sign-in to the game ‘room’ using a unique code to complete lessons and compete against their peers. Displaying the questions and game on a primary display encourages students to use their personal devices only for choosing their answer. This means group engagement and discussion is promoted throughout the session, creating what the Kahoot! team call ‘campfire moments’. Kahoot! then promotes students to proactively pursue their learning goals by creating their own Kahoots, attempting to beat previous scores and inciting class discussions around the learning topic. Whether used as an attention grabber at the start of a lesson or a re-energising tactic part way through an intense revision class, Kahoot! Is surely a great tool for any teacher. As nominated by Nikolaos Chatzopoulos of Tech Trends for Teachers, Nicholas Clayton, and Shelly Terrell of 30 Goals Challenge for Teachers. Buncee is a creation and presentation tool which supports educators as they foster the 4 Cs of learning in students: critical thinking, communication, collaboration, and creativity. Some of Buncee’s many features include over 10k student friendly graphics designed by their team to help make learning fun, the ability to record audio and video directly into a Buncee, integration with YouTube and Pixabay images and much more. Students are able to engage and immerse themselves in what they are learning, be more engaged with the material, and therefore improve their comprehension. Buncee can be used to develop future-ready skills in students of all abilities. Students from as young as six and seven years old are using Buncee to create multimedia presentations which demonstrate learning acquisition, critical thinking and creativity, while also communicating stories. Teachers integrate Buncee as a tool for individualized, differentiated instruction, language learning and special education, as well as lessons and projects for any subject. It is used as a classroom presentation tool for reviewing and introducing content aligned with curriculum standards. Additionally, Buncee is integrated into modes of expressed student learning including alternative book reports, research projects, digital storytelling, project-based learning, passion projects, and genius hour. With Buncee's easy to use creation canvas making learning fun is just a drag and drop away. Our experts recommended using Buncee for outside-the-box lessons, such as creating digital posters, micro-movies or simple games as a class activity. As nominated by Ryan Craig of University Ventures, and Daniel Christian. Focussing on a different area of EdTech, AdmitHub provides an easily accessible source of expert advice about US college applications - in the form of a friendly online chatbot! AdmitHub’s mission is to provide all students with free, expert guidance along the path from highschool, to and through college. Through SMS text and integration with Facebook Messenger, AdmitHub’s chatbot Oli, mixes artificial intelligence with human guidance coaches from individual schools. Once a student’s goals are assessed, they have 24/7 access to a personal ‘virtual campus guide’ to help them through application and enrolment processes and embodying each school's’ ‘unique spirit’ and personality. AdmitHub are currently ahead of the game and applicable to US students only, but the rise of chatbot tech means we should soon start seeing many more innovative bots within the education sector. As nominated by Alex Corbitt and Andoni Sanz. Remind is a classroom messaging app that helps teachers, students, and parents communicate quickly and efficiently. By connecting school communities, Remind makes it easy for everyone to succeed together. Based in San Francisco, Remind is used by more than 20 million people in 90% of school districts in the United States. 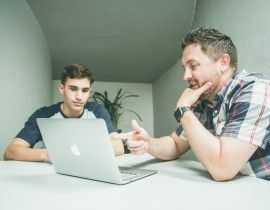 Whilst many organisations are starting to embrace technology to communicate with school stakeholders, messages typically end up being split across an array of channels. Facebook messages, WhatsApp groups, individual text messages or emails - the list goes on. Remind removes the tedious process of remembering which message came from which person on which platform. Contacts can reach each other directly, schedule reminders, include attachments and see read-receipts - all with translation in 70 languages! Remind is a great example of an alternative application of technology to support the wider community involved with schooling and education. As nominated by Laura Dickinson of North Tyneside Learning Trust, and Nicholas Clayton. Go Noodle gamifies movement and exercise, getting kids out of their seats and allowing them to be energetic, playful and and active - with a touch of silliness mixed in just for good measure. The platform features hundreds of pre-recorded, custom-created videos designed to get kids moving. 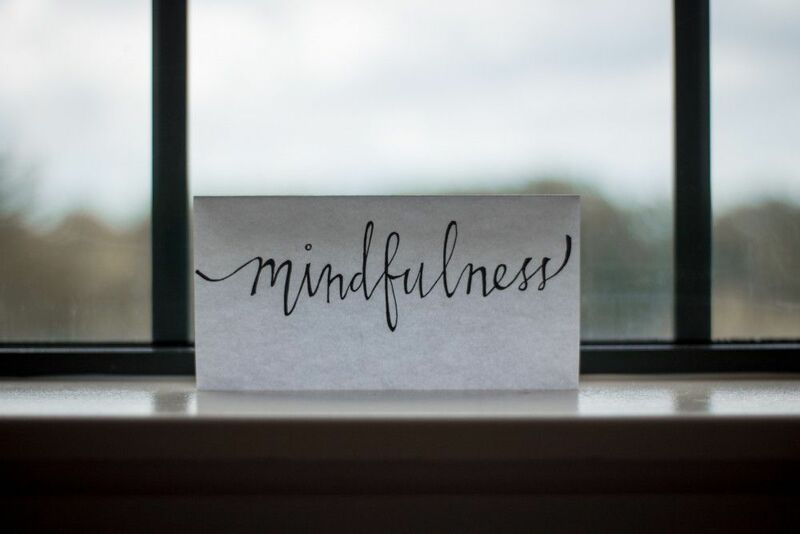 There’s also a handful of videos specifically made to start introducing children to concepts of mindfulness, including breathing and meditation. The awesome thing about Go Noodle is how it can be used everywhere. Teachers can use it as an intro exercise to a lesson, a break in the middle of a long class or even as a piece of homework for children to do alongside their siblings or parents at home. As nominated by Vicki Davis of Cool Cat Teacher, and Danielle Bartram of Miss B’s Resources. Matific is an award-winning primary maths resource which uses common objects in ordinary settings that children can connect to for a deep understanding of maths. Matific episodes were designed to support each other to allow children to master core maths concepts. Encouraging children to experiment and play to foster understanding, Matific provides engagement across all year groups. With long term use, children can reconnect with core maths concepts that increase in difficulty and reinforce previously learned skills. Matific provides a library of amazing resources for teaching maths to children age 4 - 11. Resources are split across bite-sized, immersive and interactive applications designed for mobiles and tablets. Their resources are based entirely on the UK mathematics curriculum, making the apps a perfect companion to standard maths textbooks and activities, or to be used as a standalone pillar around which to plan a lesson. A recent research paper by Dr. Catherine Attard "Research Evaluation of Matific Mathematics Learning Resources" found Matific positively impacted on primary students learning. As nominated by Brian Seymour of Seymour Educate, and Nikolaos Chatzopoulos of Tech Trends for Teachers. Amongst the various interactive annotation applications available, ThingLink stands apart. Not only can ThingLink be used to edit, annotate and teach with images and videos in real-time, it also supports 360 degree video and VR/AR content. Thinglink allows over 70 different tags to be used within content, such as links, videos, maps, images, social media and more. It’s intuitive interface allows users to create interactive content in just three steps and using an embeddable sharing link, it’s easy to distribute the content to your students wherever they are and whatever device they’re using. It even integrates natively with Facebook! With it becoming increasingly more easy to create 360 and VR content using everyday tools like our smartphones, there are very few barriers to entry to begin trialling tools like Thinglink in your lessons. As nominated by Beth Holland, and Michael Cohen of The Tech Rabbi. Book Creator is a simple app for making ebooks on the iPad (and soon to be cross-platform). Red Jumper is the team behind Book Creator. Established in 2011, their mission is to empower the next generation of content creators and improve their educational outcomes. Teachers and educators have the opportunity with Book Creator to develop interactive and evolving teaching resources that can easily be shared with or collaborated on by students. As an e-resource, it’s really easy to keep resources up to date for each year group and make edits on the fly during lessons. Book Creator is also a great tool for students to explore their creative side and produce a tangible piece of content through their learning. Potential applications might include creating a portfolio of learning after each lesson, or a homework assignment to create an interactive story or comic book. After creation, resources can then be shared online with anyone worldwide. Your students could support the learning of students on the other side of the world, or maybe even collaborate with them on a new project! Wakelet is a content curation platform that has quickly become one of the go-to EdTech tools for educators worldwide. It allows you to quickly organise and share handpicked content with your students, set digital assignments, and create stunning portfolios. The free-to-use platform makes creating interactive collections easy, with the ability to embed videos, social media posts, articles, podcasts, images, notes and everything else. You can change layouts, re-organise content and update collections at any time, which makes it perfect for planning classes and sharing resources. They also have a fantastic browser extension and app, making curation faster and easier than ever before. Wakelet's main strength is it's ability to let you display any online content in a way that really encourages digital storytelling - something that is becoming increasingly important for educators. As a side-note, upon Storify's demise, educators have been quick to flock to Wakelet as the only real viable alternative. It's Twitter search & add feature was key in attracting ex-Storify users looking to create collections using tweets and other social media. The platform has attracted big names like Harvard, Cambridge University and many other academic institutions, who have switched to Wakelet to keep curating. They also offer an easy Storify to Wakelet import tool at www.wakelet.com/Storify - so check that out if you're looking to save your Storify content before they close! As nominated by Bruno Reddy, and Danielle Bartram of Miss B’s Resources. Times Table Rock stars is an online learning platform, engaging primary and secondary school students in daily times tables practice. Its adaptive question generator is cleverly sequenced to provide measurable improvements in times tables recall speeds, increasing confidence and enjoyment in maths. The animated theme and motivational reward system has captivated pupils, teachers and families alike, resulting in widespread success across the UK. Children can practice by themselves, compete against other students and complete homework assignments tailored to their ability, online or using the mobile application. “Times Table Rockstars is an amazing site for to practise their times table recall skills in both a fun and engaging way. TTRockstars has motivated our students to become proactive in improving their times table recall skills whilst in the pursuit of the 'rock god' status.” - Danielle Bartram. For a number of years, Bartosz Gonczarek (CEO) and Piotr Sliwinski (CTO) had a hobby of making funny podcasts. They thought about filming them but the budget to make real movies with their ideas (space aliens, large explosions, monsters destroying whole city quarters) would have been too costly. The only plausible way to capture their ideas was to make simple cartoons. The concept for an app to create these cartoons appeared in Piotr’s head in 2008 when a colleague showed him an animation that he had made. After a week, Piotr had a working proof of concept. It was a simple app for the Mac that displayed a funny face that could be moved around a checkered window, while its movement was recorded. Fast forward and on August 19, 2011, Explain Everything made its debut on the iPad App Store. Explain Everything is an easy-to-use design, screencasting, and interactive whiteboard app with real-time collaboration that lets you animate, record, annotate, collaborate, and explore ideas, knowledge and understanding. Explain Everything provides teachers and students an opportunity to share thinking, reflect upon knowledge building, and assess both products and processes of learning. As nominated by Jon Corippo, Director of Academic Innovation at CUE, and Bethany Petty of Teaching With Technology. Quizizz allows you to find amazing quizzes made by other teachers, or create your own quizzes and share them with the world. Start a "Live" game in class, or assign Quizizz as a fun "Homework" task. Teachers can control the competition by toggling the leaderboard, timer and other settings. Thanks to Quizizz being available on all devices, students play together, but each at their own pace. Gamification elements like avatars, leaderboard and funny memes add to the fun! Review your work in the end and use Quizizz’ detailed class and student-level reports to understand where your students need help. Each of the following EdTech companies received a single nomination from our education experts, but all of them deserve a mention for being fantastic tools to support teaching, learning and education! EducationCity is one of the leading online teaching, learning and assessment resources. It was established in 1999 and now has subscribers in over 70 countries worldwide. Ideal for children aged between 3-12 years old and children with SEN of all ages, EducationCity’s engaging and interactive educational resources cover English, Mathematics, Science, Computing, French, Spanish and English as an additional language. Offering a variety of content types, it lends itself to group and whole-class instruction as well as personalised learning. It can be used anytime and anywhere on various devices, including interactive whiteboards, laptops and mobile devices, and also includes many time-saving features for the teacher. As a curriculum-based resource, EducationCity is mapped to UK and worldwide curricula. As nominated by Alec Couros. Flipgrid is video platform used in over 50,000 classrooms to empower student voice and ignite discussion. In Flipgrid, teachers post discussion topics to which students respond via video, creating a social learning environment that provides every student an equal voice and increases engagement. With the advent and increasing popularity of short video based communication a la Snapchat, Instagram Stories and more, allowing students to communicate and learn through a medium they are familiar with can improve engagement and knowledge retention. Created ‘grids’ can also be embedded or connected with a variety of other platforms such as Blackboard, Wordpress, Moodle and more. Padlet is like paper for your screen. Start with an empty page and then put anything you like on it. Upload a video, record an interview, snap a selfie, add text or upload some documents, and watch your padlet come to life. Invite as many people as you like and watch the page update in real time with the contributions of others. Used by teachers, students, professionals, and individuals of all ages, all around the world, Padlet is the easiest way to create and collaborate wherever you are. Padlets easy, intuitive interface makes it a breeze to quickly create a new document. You could hold a live collaboration lesson where students can all share and add content to your sheet at the same time, or set a task to create a summer holiday scrapbook before school returns in September. Puzzlets is a hardware accessory for your tablet or computer used to play Puzzlets-specific games. Each game focuses on a traditionally “tough” STEAM subject, such as: coding, math, and colour theory. Each game comes with its themed set of physical Puzzlets tiles. Puzzlets apps use these toy puzzle pieces to control video games for K-2 (ages 6+). This hands-on learning game philosophy starts with fun first and offers endless possibilities to the educational market. Cork the Volcano, the first game for Puzzlets, enriches logic, sequencing, fine-motor skills through physical interaction and gameplay. New Puzzlets games on the topics of Math and Art, releasing Summer 2017, will expand the platform and learning. Ebookadabra is the ‘Netflix’ of kids picture books. Aimed at children aged 3-7, it offers a huge library of picture books from well-known publishers, educational games and rewards - all within an environment that is safe and fun. For a single monthly subscription that covers the whole family, parents and up to four kids can join in the fun – with everyone being able to access Ebookadabra simultaneously on an unlimited number of devices. Families can message each other, post reviews and record audio books. The Ebookadabra library is constantly growing and new stickers, games, avatars and emoji are added regularly to maintain a fresh and engaging world of reading. As nominated by Daisy Dyer Duerr. SmartFeed is the parents' trusted platform to curate, deliver, manage and connect to their kids' digital media – across all content and devices. Media is increasingly everywhere, especially in front of our children. Kids find and consume it easily, just like junk food. SmartFeed aims to change the paradigm: rather than just filtering out the junk, this tool helps parents feed their kids positive, engaging, healthy content instead. It’s also an incredibly useful tool within schools that provide digital devices to students to use during lessons, ensuring attention is focussed on their learning goals and not on ‘junk media’. Additionally, the Smart Feed screening and filtering process mean teachers and educators can be safe in the knowledge that any external media used in their lessons has already been flagged as appropriate for their students age group. TinyTap is a marketplace of interactive educational games created by teachers. TinyTap empowers students to learn through play, with over 100,000 learning activities from a worldwide community of educators. Master concepts through curated courses and measurable lessons, that you can play on your mobile device or computer. Create interactive presentations for school work, or detailed study guides for tests and quizzes with TinyTap's easy-to-use creation tool. Special needs teachers and caretakers can utilise this simple and powerful platform to come up with new ways to help those in need and personalise activities to fit each person individually. The TinyTap team also believe that there is no better way to learn than by teaching - which is why they created the TinyTap Market. The TinyTap Market is an online community of millions of kids, teachers and parents that create and share their fun educational games everyday. Created games can be published on the TinyTap Market, giving creators the option to sell their games - whether created by an author, illustrator, educator or just someone full of imagination. Edpuzzle allows teachers to easily customize a video by adding questions and audio throughout the video to have more engaging video-lessons. Helping to dispel the classic problem of students dozing off during longer videos, Edpuzzle allows you to add natural stopping points throughout the video. Add pauses at the end of each key video segment to trigger questioning and discussion amongst the class - all while making sure they’re still paying attention! As nominated by Tina Mehta of Lightbox VC. UpGrad was founded with an aim to empower working professionals and individuals to reach their full professional potential by providing them with high quality industry-relevant online programs in upcoming technological areas, which have high demand and increasing job opportunities. So far, UpGrad has successfully launched programs in new age verticals like Product and Innovation, Entrepreneurship, Digital (including areas in Marketing), and Data Analytics. Merging the latest technology, pedagogy and services, UpGrad offers an impactful and engaging learning experience for the digital world. In its first year, UpGrad's Start Up India Learning Program has become the single largest online program in India, by enrolment. In addition, UpGrad's Data Analytics PG Diploma Program has become the single largest online program in India, by revenue. With a strong community of 50,000+ students, UpGrad is redefining online education in India, both in terms of enrolment/retention achievements as well as perception. Quizlet aims to harness the world’s knowledge to allow anyone to unlock their learning potential. They do this by making it simple for students and teachers to create and share online learning materials, currently used by more than 20 million students and teachers each month. Quizlet offers tools for students to make flashcards, practice spelling, play learning games, test their knowledge, collaborate with other students and more, providing engaging, customizable activities with contributions from people everywhere. Tinybop builds elegant, educational apps to spark the curiosity, creativity, and kindness of kids around the world. Tinybop apps inspire kids to learn, create, and grow by diving into big ideas, testing how things work, and making connections about the world they live in. Tinybop’s flagship app The Human Body, has reached the #1 spot on the App Store’s education charts in 143 countries, and has been downloaded by more than six million families across the globe. Other Tinybop apps have won multiple awards from Children’s Technology Review, KAPi, Parent’s Choice, and AASL. Founded in 2012, Wonder Workshop is the market leading platform for children to learn computer science and robotics beginning at elementary school age. The company's first generation robots, Dash and Dot, are widely recognized in education and have won many major industry awards. Today, their Dash and Dot robots, which work in tandem with a suit of free apps compatible with more than 40 iOS, Android and Kindle devices, are used as learning tools in nearly 10,000 elementary schools around the world and hundreds of thousands of homes with children. The annual Wonder Workshop Robotics Competition, which has grown 5x year-over-year, currently has over 22,000 participants from 57 countries, almost half of which are women. LivingTree is your district's own private, social network for family engagement. It replaces public social media, websites, emails, blogs, single purpose apps, paper flyers, etc. LivingTree simplifies engagement for both families and teachers. Each classroom and school has a private network which nests into the broader district network. Within your network, you have all the engagement features you need in one easy to use app (web or mobile) and even two-way translation to 100+ languages. LivingTree was recognised at the 2016 Stevie Gold Award winner for Community Involvement Program of the Year and 2016 Stevie Silver Award winner for Smartphone App of the Year. 31. Diagnostic Questions - Better results, more confidence, less time. In just three steps, assign a year’s worth of assessments to your students created exclusively by AQA, OCR and EdExcel. Create your own quizzes and assessments or choose from the thousands created by teachers, awarding bodies and publishers. Every day there are hundreds of missed connections between teachers and parents. Between reminders, meetings, sign ups, events flying around in hard copy, digital and verbal formats, parents can't keep up. Social networks and mobile phones have redefined how we connect. Facebook for friendships, LinkedIn for careers; it seems as if there was a social network for every aspect of life. Almost. Ozobot launched in fall 2014 with the vision to create an innovative way to play, learn and socially interact in an ever-expanding digital world. Through game applications and creative curriculums, Ozobot introduces interactive robots by blending entertainment and education in the family room as well as the classroom. Their mission is to provide learners as well as gamers of all ages a new option to play, learn and interact as well as inspire them to make the jump from using technology to actively shaping and creating it. As nominated by Phil Dawson of Learnocracy. Winner of the prestigious ‘Innovation in ICT’ award at Bett 2015, Airhead is simply the best cloud desktop for schools, colleges and universities. With Airhead you'll save time, make the cloud more easily accessible and support communication and sharing. Airhead’s integration with Microsoft Office 365 and Google G Suite means you'll also be able to improve collaboration and productivity across one or many establishments. In short, you'll supercharge your journey to the cloud. Airhead is the glue that turns the Web into a meaningful educational service that delivers on the promise of anytime, anywhere, any device learning. Tiggly believes in the power of connected play - the magic that happens when you bring the best of physical play into digital apps. They design fun hands-on toys that interact with engaging learning apps on tablets! Tiggly has three learning systems, Tiggly Words, Tiggly Math, and Tiggly Shapes, and has been featured on TIME, Forbes, BBC, CNBC, Huffington Post and many others. As nominated by Meagan Kelly of I Heart Edu. Canva makes it amazingly simple for everyone to create professional quality graphic designs. Its online design platform brings together a simple drag-and-drop design tool and a library of more than one million photographs, graphics and fonts, allowing anyone to take an idea and present it beautifully in print or online. Canva can be used to design almost anything: presentations, posters, blog content, cards, online marketing materials, invitations, flyers and so much more. Since launching, Canva has grown to more than 10 million users in 179 countries around the world. It is now available in 25 different languages, and recently launched on iPhone and iPad. Because it’s so easy to pick up and use, Canva is a brilliant tool for creating educational content. Potential applications include using Canva to create resources for the classroom, or asking students to collaborate on projects like digital posters or infographics. 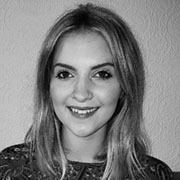 As nominated by Charlie Ill, Investment Director at Red Dot Ventures. Lithan’s mission is to redefine adult education through learning innovation. They provide lifelong career progression and learning to individuals and provide training solutions for enterprises. Through virtual and blended delivery in the classroom, at the workplace, at home, and even overseas, Lithan allows non-invasive learning without geographic boundaries. Using innovative technology, Just-in-time learning delivery allows individuals and enterprise learners to study at their own pace, anytime and anywhere while still experiencing close mentorship and support. By providing easy to access learning solution, Lithan is supporting adult learners to skill-up competencies and develop their talents to be future ready within the working environment. Kami is an educational technology application that provides educators and students tools to view and edit documents and PDF files. Kami offers easy-to-use and valuable tools to millions of educators and students needing a document and PDF solution. Kami also enables the increasing number of American K-12 schools to edit and collaborate on worksheets and interact with publisher-supplied PDF files. Kami is a proud Google Partner, a 2012 The University of Auckland Velocity 100K Challenge finalist, and the 2015 New Zealand Innovation Award winner. Created by Educators for Educators, Pear Deck creates interactive presentations for 100% student engagement and real-time formative assessment. With options to build presentations from scratch, or import existing Google Slides or PDFs, Pear Deck makes it as easy as possible to start engaging every student in every row of the classroom. Their library of existing sample lessons provides great examples on how to use the 5 Pear Deck interactive question types, embed youtube videos or web pages. The recently launched Student-Paced mode allows teachers the option to send Pear Deck home with students for homework, or administer in class quizzes. With unlimited storage and sharing capabilities, the options are endless. As nominated by Chris Aviles of The Teched Up Teacher. SiLAS is a browser-based web app that allows students to act out social scenes using video game pads and microphones to control their 3D avatars. SiLAS records the interaction in real-time, then produces a studio-quality animation that teachers and students can re-watch, critique, and assess. Student-performance data is tracked and animations are saved in guardian accounts allowing for crucial carryover year-to-year and outside the classroom. Kids can also create and watch interactions in full virtual reality. The instructor selects the setting location for where the students will interact. Does the student need help initiating conversation in the cafeteria? The students can now practice the situation in the virtual cafeteria setting before going to eat their actual lunch. SiLAS is a great tool for helping kids who have social anxiety or interaction difficulties and for educating those with SEN about different social situations. Showbie’s features were designed with teachers and students in mind. Unlike other learning management systems that require extensive training and time to implement, teachers can start using Showbie’s powerful platform within minutes. Teachers who use Showbie love how it transforms their classrooms into engaging, collaborative, and organized learning environments. Showbie’s suite of tools make it easy to give rich, differentiated feedback to students, so everyone gets the help they need to succeed. Showbie allows students to share files and ideas with each other, ensuring everyone is on the same page and encouraging collaboration. 44. 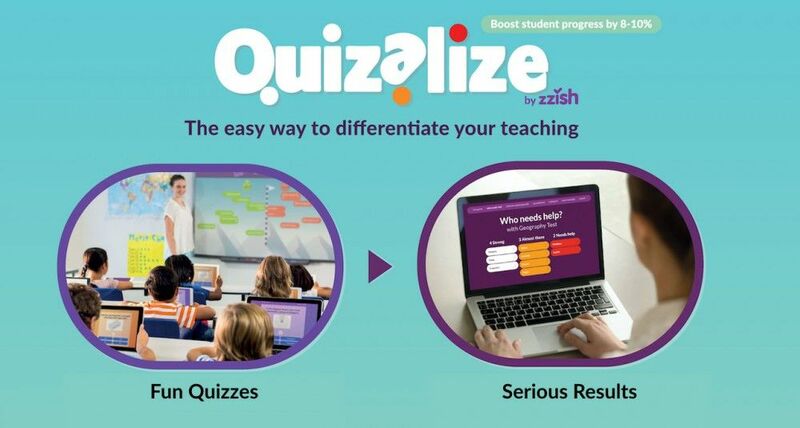 Quizalize - The Easy Way to Differentiate Your Teaching. With Quizalize, fun quizzes deliver serious results. Team games for your interactive whiteboard bring formative assessments to life – motivating students to master every subject with friendly competition. There are over 100,0000 quizzes to choose from and you can quickly create your own. But it’s the student insight that really sets Quizalize apart from the rest. As a teacher, you’ll instantly know who needs help, what they need help with and how each student is progressing towards curriculum mastery. Quizalize automatically groups your students by quiz performance, as well as assigning differentiated follow-up resources so you can easily differentiate your teaching! Access a range of helpful insights which show you how students have improved over time, topics you should reteach to whole classes and student learning gaps within your curriculum. As nominated by Chris Nesi of the House of EdTech Podcast. Trovvit allows you to create a "record" of what you are learning - save school work, maker projects, sports photos, art work, camp crafts, after school certificates. Once you save your record, you'll have it forever. Trovvit's mission is to help learners at every stage - from toddler to senior citizen - learn, save records of their work, share their passions and grow their network. The team behind the app believe that creating a personal and permanent record of a learning experience is an important part of reflection and growth. As building a community network is critical to successful learning, so Trovvit encourages learners to share their work and experiences with family and mentors through a private, secure feed and portfolio. Through sharing, they can get feedback, encouragement and ideas, telling their personal development story with an online profile and curated portfolio. Labster is a company dedicated to developing fully interactive advanced lab simulations based on mathematical algorithms that support open-ended investigations. They combine these with gamification elements such as an immersive 3D universe, storytelling and a scoring system which stimulates students’ natural curiosity and highlights the connection between science and the real world. The labs are being used by California State University, Harvard, Gwinnett Technical College, MIT, Exeter University, University of New Haven, Stanford, University of New England, Trinity College, University of Hong Kong and Berkeley among others internationally. Aimed at 4-14 year olds, DoodleMaths system diagnoses a child’s strengths and weaknesses and creates a work program that ensures progression (validated by University of Bath studies). By harnessing all that is good about mobile technology, it fosters regular daily use from its users in bite-sized chunks over long periods of time. DoodleMaths is emerging as a popular choice in the home-learning market, and as a homework tool within primary schools, and has been the recipient of many awards including winning at the Duke of York’s Pitch@Palace competition. Brix believe that every Maths student should have the support they require to fulfill their Mathematical potential, both in the classroom and at home. Brix is the only Maths learning platform in the world engineered around a deeply researched pedagogy designed to deliver impact. Their approach is focussed on increasing student engagement, confidence and enjoyment in order to drive achievement. As nominated by Noshir Colah, Partner at Aavishkaar. Shouldn’t education be more about understanding and less about marks? Shouldn’t schools be training children in improving intelligence rather than memory? Shouldn’t learning be about solving real-life problems rather than answering some questions in a paper? The ButterflyFields Innovative DIY kits have been designed indigenously by their in house R&D team comprising of highly qualified engineers and designers from top institutions. These products have been tried and tested as part of school programs by over 5000 children. As nominated by Gwyneth Jones of The Daring Librarian. 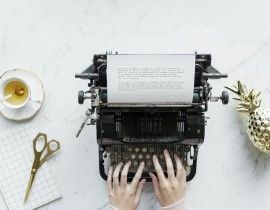 The team believe that blogging transforms the educational experience of students and have seen first hand how Edublogs increases ownership of learning, engages students, and becomes a source of pride in the classroom. Edublogs is a project of the prominent WordPress company Incsub; the same team behind CampusPress and WPMU DEV. Flubaroo is a free tool that helps you quickly grade multiple-choice or fill-in-blank assignments. More than just a grading tool, Flubaroo also computes average assignment score, computes average score per question and flags low-scoring questions. It can also display a grade distribution graph, gives you the option to email each student their grade and an answer key, and finally provides the facility to send individualised feedback to each student. As nominated by Beth Holland. Formative was born out of research during the founding team's time as UCLA graduate students. Prototyped in the Startup UCLA program, vetted by teachers in the 4.0 Schools incubator, and turned into a company in the Imagine K12 accelerator, Formative was launched for educators in January 2015. The company is now partnered with the Jefferson Education Accelerator and schools around the U.S. in an effort to bring "formative teaching" to educators everywhere, eroding the need for assessments after the fact. Formatives goal is to help all stakeholders have more recent and actionable data by using its platform both for formative assessments and daily activities, such as lab reports, homework, and more. A teacher can use previously created materials, share with colleagues, or create something on the fly. All responses are served back to the educators in a clean and helpful dashboard that helps them see overall and individual trends. Very soon, those same educators will see the students' progress on standards as they go through the year, getting ahead of their summative assessments. As nominated by Ossa Fisher. Istation (aka Imagination Station) is an award-winning, comprehensive e-learning program used by more than four million students and educators around the world. Known for its accurate assessments, engaging curriculum, and trusted teacher tools, Istation helps students in prekindergarten through 8th grade achieve academic growth. Istation’s computer-adaptive assessments (known as ISIP™) immediately place students on personalized instructional paths unique to their needs. And the animated, game-like interface engages students so effectively that they don’t even realize they’re being evaluated. Along with Istation’s highly interactive digital curriculum, teachers also have access to a library of thousands of lessons perfect for instructing small groups or an entire class. Comprehensive reports are immediately available for educators, administrators, and parents. Istation offers its assessments and curriculum in reading, Spanish and math. Students can also use their Istation subscriptions at home. As nominated by George Webb. Revision Buddies GCSE Revision apps offer a modern approach to learning that is interactive and engaging. They are full of thousands of questions and detailed explanations that have been written by teachers to guide you to the most relevant facts that you need to know for your exams. Through 1000s of multiple choice questions, split into each topic of the relevant syllabus, Revision Buddies test the knowledge of students and help them to find the gaps in their learning. Students can build confidence through monitoring their progress with performance based graphs and share their results with friends and family on Facebook and Twitter. 57. ZipGrade - Don’t take your Grading Home! ZipGrade turns your phone or tablet into an optical grading machine similar to a Scantron. It reads free-to-download answer sheets in multiple sizes. Provide instant feedback to students by grading exit tickets, quizzes, and formative assessments as soon as they finish. Many teachers now grade as soon as students complete a quiz or test. Students receive immediate feedback and teachers can redirect differentiated learning quickly. As nominated by William Jenkins of Tech Stories. ZeeMaps is an enterprise-class mapping service that allows you to easily create, publish, and share interactive maps. You can construct dynamic visualizations of geographic information, producing maps from your list of locations. For example, you can create a map of places your class has visited on field trips. You can make maps pinning the locations of your tutoring clients, key locations of famous events for a history class, locations from news article stories, friends, or relatives. In addition to marking pins on a map, you can highlight areas of interest, e.g., zip codes, counties, city, state and country boundaries. Unimersiv’s mission is to help students of all ages learn faster through virtual reality. They believe that Virtual Reality can strongly improve the capacity of the human mind to remember the things it learned for a long time. Unimersiv believe that virtual reality should not only be used for gaming, but also for education. Research has shown students remember 20% of what they hear, 30% of what they see and up to 90% of what they do or simulate. Virtual reality yields the latter scenario impeccably; students can interact with the virtual environment in person and manipulate the various objects within it. This supports “learning by doing” and also results in creativity by constructionism. Every child is a genius. Every child deserves to thrive. Thrively are guided by those two core beliefs. With a little ingenuity and a lot of hard work, they’re helping kids reach their potential, helping parents understand their children better and helping teachers connect with their students on a more personal level. 62. PicMonkey - Photo editor. Design maker. Idea Realizer. Everything you need to make your ideas come to life—photo editing, collage making, graphic design—PicMonkey's got it. It's never been easier to feed your creative beast. PicMonkey makes creative tools for photo editing and graphic design because they want you to rock the universe. 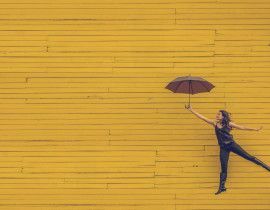 PicMonkey want your images to show your creativity, your style, and your spot-on brilliance. Prodigy has content from all major topics to help ensure your students are ready for standardized testing. With a diagnostic test to place students in the correct grade, embedded assessments, and automatic differentiation, Prodigy ensures that each one of your students succeed at their own pace. Everything your students work on in Prodigy is reported back to you in real time. Quickly see which skills your students have mastered, and where they may need some additional support. It's a sad reality that only 1 in 5 children get a bedtime story on a regular basis and, although children are traditionally taught in the daytime, knowledge and fact-based learning is most effective in the 90 minutes before sleep. The home has three times more impact on a child's learning outcomes than school but supplementary learning can be expensive. Getting the learning right at home, is key to a child's future but often parents don't have the tools or knowledge to be able to be effective teachers themselves. This is why Dream Learners' stories are so beneficial for everyone in the family. After extensive research they are developing a multi-platform library of magical, animated story experiences that broadly cover the curriculum and are optimised for safe use in the 90 minutes before bedtime - the best time to learn. The magical learning stories and accompanying resources are aimed at children aged 3 - 9 to use on their own, or for maximum learning impact, with a parent. Dream Learners are constantly expanding their library of stories and resources. 67. CodaQuest - The Ultimate Learning Adventures! Write. Touch. Swipe. Pinch. SMART interactive displays, whiteboards and collaboration software are so easy to use, they're second nature. Out in the schoolyard students tackle all sorts of imaginative projects together. SMART encourages that same back-and-forth interaction inside the classroom and beyond. Despite the recent advancements in edtech, math teachers and students have still predominantly been using pencil and paper to create math and respond to math questions. Thanks to the g(Math) Add-On, it’s quick and easy to create equations, graphs, stats displays and math quizzes to insert into Google Docs, Sheets, or Forms. Now students at all levels - and their teachers - can write virtually any mathematical expression directly on their PC or Chromebook’s keyboard or touchscreen. Lifeliqe is the world's first learning platform that enables users to drag & drop any of its 1,000 interactive 3D and augmented reality models into lesson plans, e-books and other learning resources. Students, teachers and homeschoolers can access premium, ready-to-use 3D models and lesson plans for learning, creating and sharing their own content. Lifeliqe's mission is to spark in students memorable light bulb moments and create a passion for lifelong learning. Lifeliqe is now also available in virtual reality as HTC Vive's strategic partner for educational VR content. SchoolTube.com is the nation's largest K-12 moderated video sharing platform, specifically designed for students and educators - exclusively endorsed by over twenty national education associations. Empowering students and teachers through the use of video, with a safe, informative, and fun video sharing experience. Khan Academy offers practice exercises, instructional videos, and a personalized learning dashboard that empower learners to study at their own pace in and outside of the classroom. They tackle math, science, computer programming, history, art history, economics, and more. Their math missions guide learners from kindergarten to calculus using state-of-the-art, adaptive technology that identifies strengths and learning gaps. Khan Academy are also partnered with institutions like NASA, The Museum of Modern Art, The California Academy of Sciences, and MIT to offer specialized content. ClassDojo connects teachers with students and parents to build amazing classroom communities. Teachers can encourage students for any skill or value — whether it's working hard, being kind, helping others or something else. Students can showcase and share their learning by adding photos and videos to their own portfolios. It’s also easy to get parents engaged by sharing photos and videos of wonderful classroom moments. The Creativity Hub make games and playthings that foster imagination, empathy and self esteem, because we want to see a world where these three things are fostered in every individual. The Creativity Hub has built a reputation these past few years for designing intelligent, playful games that are full of heart. Rory's Story Cubes is connecting millions around the world through the power of storytelling, while The Extraordinaires Design Studio is helping children develop the empathy and creative thinking skills they need to navigate an increasingly complex and divided world. 82. Hegarty Maths - School Maths. Sorted. The Hegarty Maths vision was to try and take as much of what makes a great classroom teacher and put it into an online format so this included: well-thought out maths explanations with carefully modelled examples, all learning built on pre-requisite knowledge, all videos followed by bespoke assessments perfectly matching the video and finally a simple and easy to use tracking system that allowed teachers to focus on pupils' mistakes whilst making the collection of tracking data easy. The plaform was built on what the founders wished they always had as maths teachers. Record, edit, host, and share your video content inside a single app. Replace videos shared anywhere without changing any links or embed codes. Managing and updating content across the web has never been this easy. Never guess whether or not your videos are being watched. Create trackable links to see exactly where your videos are being played and by whom. Legends of Learning is an online game-based learning platform with over 1000 games and simulations covering 3rd-8th grade science curricula. Since launching in March 2017, more than 30,000 teachers have deployed Legends of Learning games to 250,000+ students. Games are organized on the Legends of Learning Platform into 147 different learning objectives across Earth and Space, Life, and Physical Sciences, making it easy for teachers to locate the subject matter they need. Most learning objectives contain 8-10 different games. Teachers can read fellow educators' reviews, curriculum concepts, and discussion questions for each game, and give it a try themselves. Once they select a game or three, they drag and drop games and quizzes into custom playlists and launch the playlists for students to conquer in class or at home. While a playlist is live, teachers can track student progress in real time via the Legends of Learning teacher dashboard. This shows them how much progress each student has made, their answers to each quiz question, and even whether a student has wandered off-task into another browser tab. Question and answer data is immediately available for download in spreadsheet form, and also stored in the platform for future reference. The platform is designed to run entirely within a web browser, optimized for Chromebooks and iPads. There are no apps to download and no software to install. Just games, simulations, and quizzes, available online for introductory pedagogy, follow-up review, test prep, and homework, mixing fun with versatility. 85. Sutori - Create and share visual stories. Together. "Kids get bored of powerpoint and so do I lol"
"We worked on #Sutori all week, but it was worth it because we are now ready for the test." When the Sutori team got wind of these comments on the same day through one of their numerous feedback channels, they knew they were doing something right. But it was no surprise to them either; from the days of the first prototype, they had followed the same rule: let the users tell you how they want to use your product and build out what they need. Sutori (formerly HSTRY) enables teachers and students to create interactive stories through a simple and intuitive interface. Adding images, videos, audio files is done in a few clicks while embedding quiz questions and a commenting system add further interactivity and engagement. Teachers use a variety of edtech tools so why not provide an easy interface to gather them all in one place? 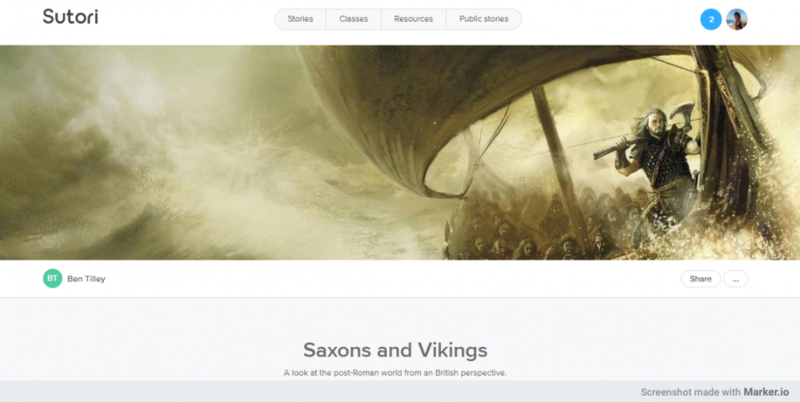 Sutori also allows users to embed any kind of teaching tool (Thinglink, EdPuzzle, Buncee, Flipgrid...) and resource (Google Maps, Docs, PDF, Prezi...) into a story. A picture, as the saying goes, is worth a thousand words. Similarly, visualizing ideas helps comprehension and retention. SpiderScribe is an online mind mapping and brainstorming tool. It helps organize and visualize ideas by connecting notes, images, documents, calendar dates and geographical locations into free-form maps. These maps can be shared online and collaborated on by multiple people in real time. Teachers and students find it easy to use – SpiderScribe is employed as a digital tool in classrooms all around the world. Teachers use it to create lessons plans, compliment their presentations, organize their curriculum, etc. They also find it very helpful when collaborating with their professional learning team, because it serves as a central location for files, video links, pictures and much more. Students are given assignments they can complete in SpiderScribe then share the results with the teacher. SpiderScribe also works well for team projects as multiple people can work on the same map. Not to mention – it is also a lot of fun for the students. SpiderScribe Jr. is an independent companion app built for iPads. It is very simple to use and works offline too. The maps can then be emailed as an image to other people, making it easy for students to work with and send the completed work to their teacher. Creaza is a creative and playful learning tool that enables students and teachers to easily create mind maps, presentations, cartoons, videos, and digital stories. Creaza consists of the tools Cartoonist and Mindomo, a massive library of content, and hundreds of ready-made activities related to different subjects and topics. In Cartoonist, you can create cartoons, videos, and digital stories. Cartoonist consists of a wide variety of themes, backgrounds, characters, props, video clips, and audio files. The tool’s integrated content can be combined with the users’ own uploaded files and audio recordings. In Mindomo, you can create mind maps with text, links, images, video, and audio. You can combine content from the web with Mindomo’s library and your own uploaded files. The mind maps can quickly be transformed into presentations. It is also possible to collaborate in real-time. Teachers can easily assign Creaza’s ready-made activities to their students. The activities can either be used as they are, or they can be modified, but teachers can also create their own ones from scratch. Once an activity has been assigned, teachers can follow their students’ work from start to finish. They can view, comment, and give feedback along the way, and approve or reopen the work once it has been handed in. Creaza is all about Creative and Playful Learning. Can you answer the question ― How do you teach twenty five neurodiverse learners? Wizer can! The award winning program revolutionizes interactive digital worksheets for students. Teachers can create interactive digital worksheets for all their students. No more waiting to use or unjamming the copier. Done are the days of grading worksheets by hand (red pens, be gone!). Worksheets come to life with Wizer! Wizer was built with the student in mind when it comes to individualized and personalized instruction. With its Premium version, teachers create a database of their students’ learning (called Learner Profiles) based on any criteria the teacher determines to be helpful. Educators can assign worksheets or questions within worksheets to specific students based on their Learner Profiles. This means, teachers can individualize students’ work.and personalize the learning by creating questions that focus on the skill sets while taking into account students’ interests. Start building and creating today! Kidblog empowers students to write with a meaningful purpose for a real audience, and enables them to connect with other classes down the hallway, across your district, or around the world. With Kidblog, students are practicing digital citizenship within a secure environment. With no manual curation required, Kidblog enables schools to document student learning over time. Students' portfolios are built automatically across classes, demonstrating growth year-over-year. Parents can celebrate their children's achievements throughout their academic journey. 90. Insert Learning - Insert instructional content on any web page. With InsertLearning, teachers turn web pages into interactive lessons by inserting questions, videos, discussions, insight and more into the text. Students stay focused, engaged, and active participants in their learning by annotating text, answering text-dependent (“un-googleable”) questions, and live discussions. The platform also gives teachers and students access to a curated search engine of quality content on the Internet including textbooks, primary sources, stories, and the news. InsertLearning is a Google Classroom Partner and was designed for Chromebooks. Phew! It's a long list from some brilliant education and EdTech experts, but hopefully you've found a few new tools to try out in your teaching. If you've used any of these effectively, or have an idea of any more to add, leave a comment below for us! You may also be interested in 60 Awesome Educational Apps You Need to Download Now.